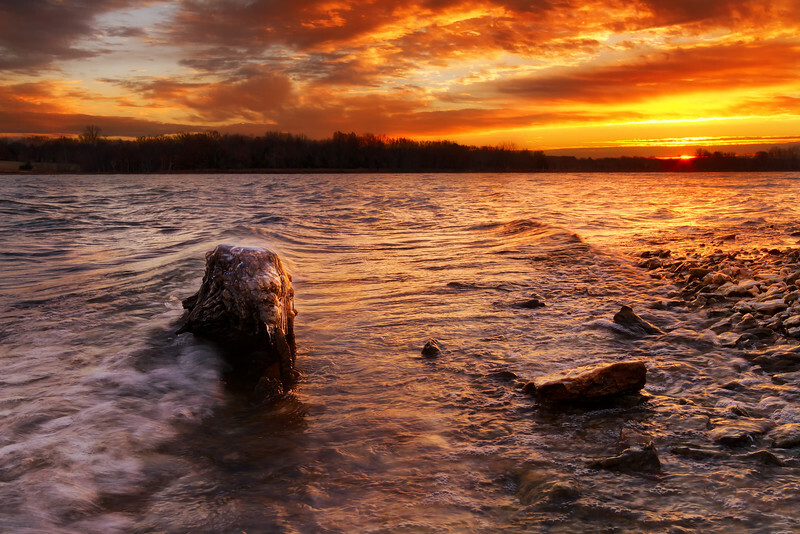 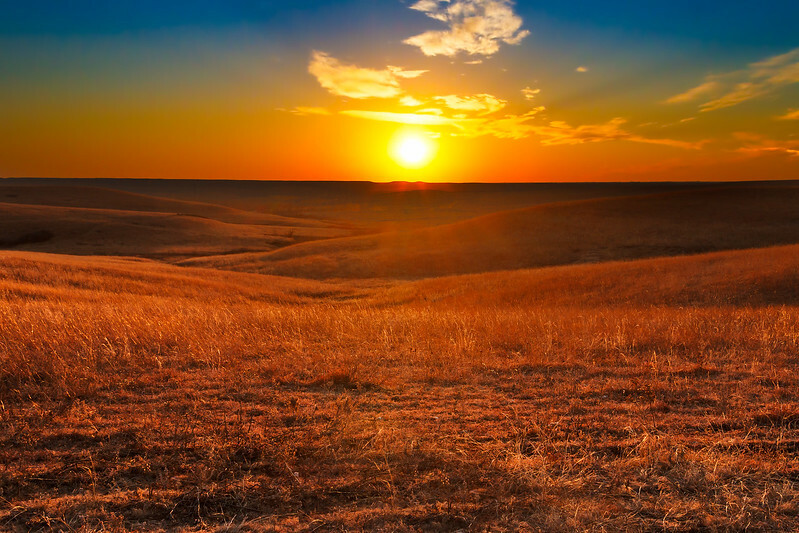 Sunset overlooking the Flint Hills of Kansas. 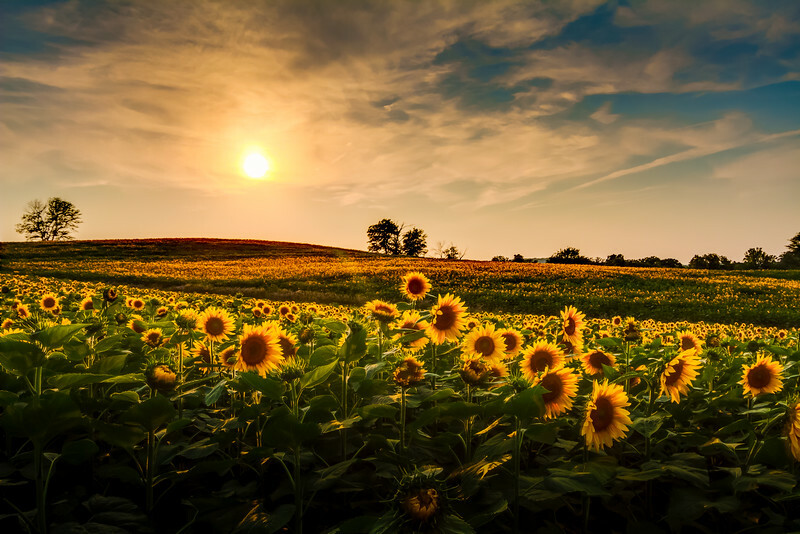 A sunflower field at Dusk outside of Kansas City. 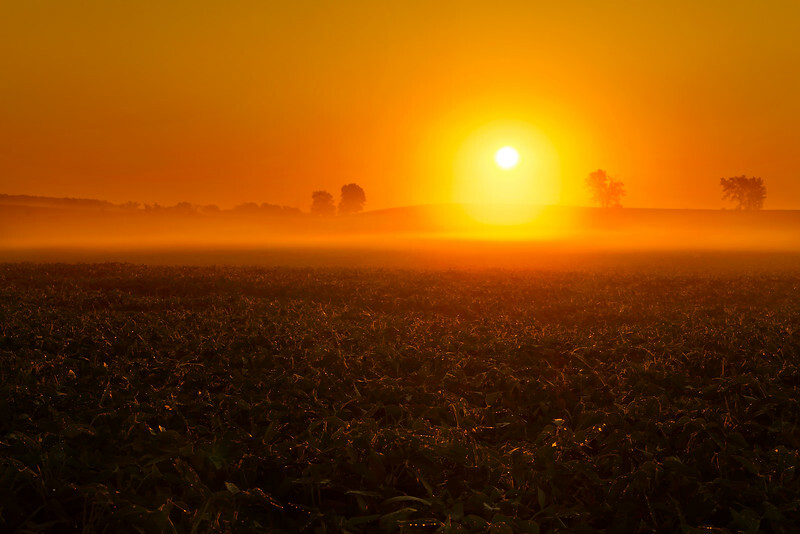 A foggy sunrise over a bean field in the Midwest United States.